Inawera - PG EcoBase 12 mg - 100 ml. 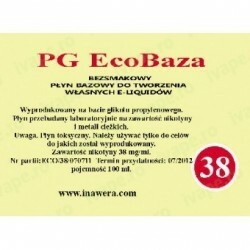 100 ml of PG EcoBaza Universal 12 mg nicotine produced by Inawera, Poland. 100 ml of PG EcoBaza 12 mg nicotine produced by Inawera, Poland. 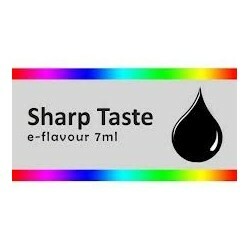 If you combine with other flavors resulting liquid is left for at least 24 hours to absorb the flavor. Keep in a dry, ventilated place, away from light, away from heat sources at temperatures between 5°C-25°C.